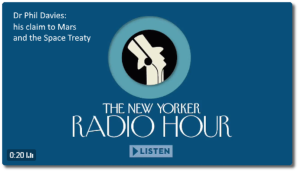 Fantastic interview with Simon Parkin of The New Yorker. It went out this month on New Yorker Radio Hour all over the USA on public radio. Now people all over the world are joining us in huge numbers in order to help “#SaveTheSpaceTreaty” and each obtain a legally valid claim to thousands of acres of land on Mars. Under international space law, we have crafted a very real claim to possession of land on Planet Mars and have some of the world’s very top academic space lawyers and scientists in support. This New Yorker piece is a good starter for anyone to get a basic understanding of this fascinating project. We are using extremely high powered lasers to effect relatively small changes on Planet Mars (surface and atmosphere) in order to form the basis, along with some administrative governance activities, of a coherent and legally acceptable claim of “actual possession” of land on Planet Mars. The legal propagation of this claim will show, in international court, the weakness of current international space law. It will hopefully trigger an update to the Outer Space Treaty. Why is that so important?.. because right now the 50 year old treaty is being trampled on by new national space laws… yet it remains the only law that prevents nuclear weapons being located in orbit/space. With an updated treaty we can maintain its relevance to modern space exploitation and still preserve its strength against space weaponization. Even the sluggish UN recognises that space weaponization is now a serious imminent risk. The New Yorker interview highlights our strong ethical goals and makes great use of references to the work and comments of Elon Musk (eg. 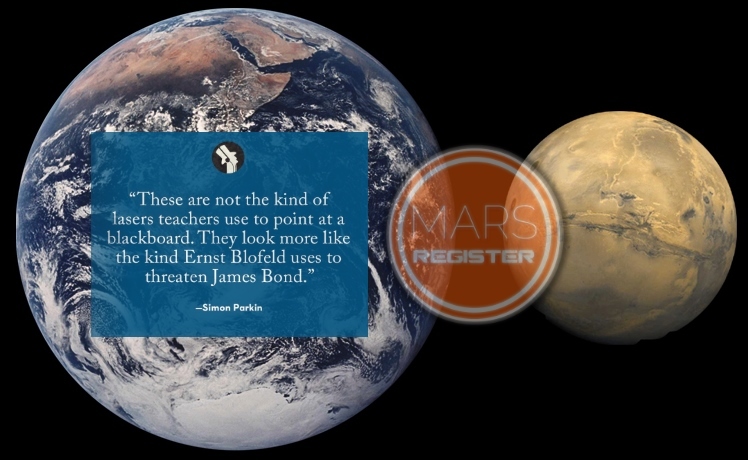 we are targetting Mars using high powered lasers, while he suggests the option to use a thermonuclear explosion!). Dr Philip De Man (adacemic space law expert) adds gravitas with his assessment of the impact of developing National Space Laws upon the old Outer Space Treaty. His appreciation of the seriousness and interesting arguments in our Mars Land Claim does explain the willingness both he and Professor Fabio Tronchetti have shown to act as judges in our Mars Prize moot court competition ( THEMARSPRIZE.com ). This fantastic competition for law students and colleges starts 7th August 2017 with last date for submissions being 10.10.2017 (50th anniversary of the Outer Space Treaty coming into force). As a result of all this we are actually ahead of target wrt timelines and fundraising. After conclusion of the Mars Prize Competition (a public rehearsal of the real legal due process), we aim to agree with COPUOS (UN) to go to Permanent Court of Arbitration in The Hague, sometime later in 2018. We hope that either The Mars Prize or the subsequent real legal due process will jolt the UN into action on updating the Outer Space Treaty and forming a market-friendly space governance council. 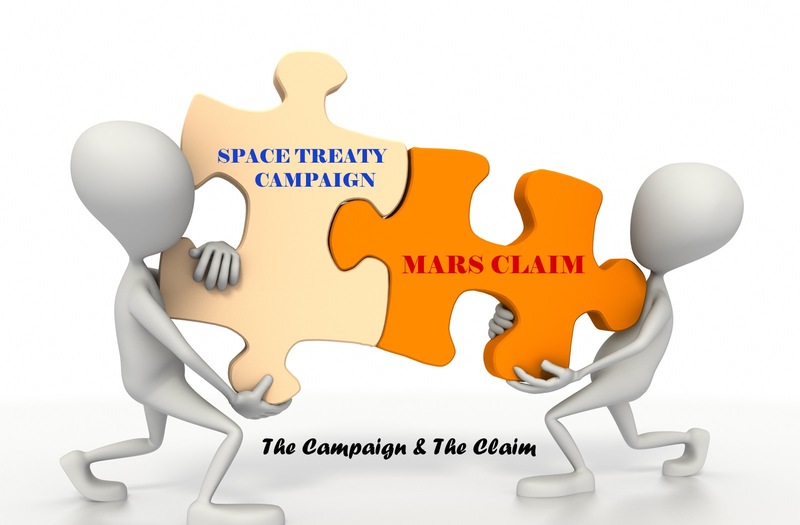 SO JOIN US IN OUR EFFORTS TO “#SAVETHESPACETREATY” AND BOOST OUR FUNDRAISING THROUGH BUYING A MASSIVE CLAIM TO MARS LAND AT A RATE OF JUST ONE CENT FOR TEN ACRES….AND THIS IS A LEGALLY VAID CLAIM!.. CLICK HERE=> CLAIM YOUR MARS LAND NOW! Any comments on all this. We’d love to hear your views (positive or negative, as long as they are constructive thanks!). 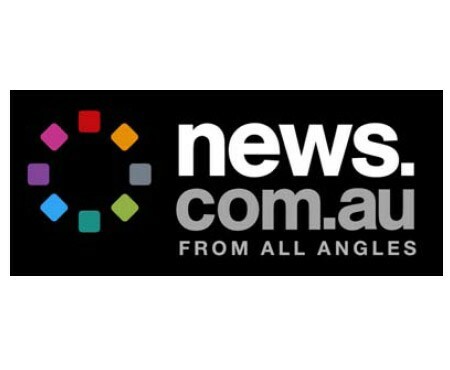 MORE: watch out for an article on our claim/campaign coming out soon from Jasper Hamill in The Sun (big UK media source: TheSun.co.uk ). 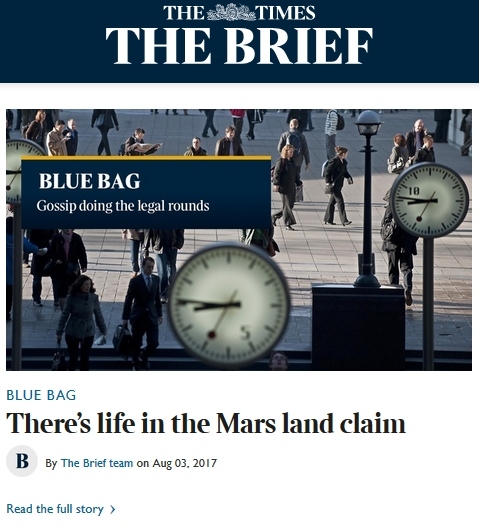 ALSO: for serious legal inspection of our Mars Claim and The Mars Prize competition, watch out for The Times (famous UK broadsheet newspaper) legal pages (in print and online) in early September 2017.